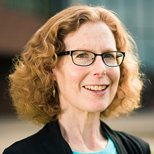 March 13, 2014 — Is a sustainable world even possible? 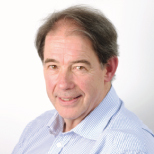 As founding director of Forum for the Future and former chair of the UK Sustainable Development Commission, Jonathon Porritt spent decades promoting sustainable policies and practices. Then it occurred to him: If we can’t see it, we can’t be it. From that realization came The World We Made, a book written from the perspective of a teacher in 2050 who relates, in stories, drawings and occasional admonitions, “how we got our world back from the brink of collapse to where we are now in 2050.” Ensia and Forbes caught up with Porritt to ask him about the book and what he hopes it might accomplish. A lot of people in my community of sustainability professionals have basically come to the conclusion it’s too late. I was getting more and more anguished about this and thinking to myself, “Am I telling lies when I go and talk to people that we’ve still got time to make these transitions?” It’s not going to be easy and the longer we delay the harder it’s going to be, but I still fundamentally believe that it’s doable. And I thought, well I haven’t actually tested that. I haven’t really put myself in that very painful place and said, ‘Is it doable, and if so what makes it doable?’ I needed to reassure myself that I could still be an advocate for a positive change of that kind. The World We Made is such a shift into the positive. What motivated you to make that shift? If you’re being even remotely realistic, you have to acknowledge that it’s going to get worse for a while. The difficulty of going from here through that dreadful period of pain, and then trying to say to people that you can come out the other end, is that the brain just doesn’t work like that. It’s already steeped in so much doom and gloom that it can’t make the connection. So I thought, OK, well the obvious thing is to go to the place where things are going to get better, start from there, and then look back and acknowledge that there was quite a lot of dislocation and pain in between. At least it’ll be starting with a much lighter premise, which is our ability to make new things work. We struggled a bit with that. In the end it was a compromise between it being far enough away for change to be possible — because if you look at the legacy of buildup of greenhouse gases in the atmosphere, it’s very difficult to see how we are going to get to being able to talk about a real sustainable world before 2050 — and not so far away that people thought it was science fiction. 2050 kind of emerged as a compromise date. And there is a bit of a symmetry here. Alex was born in 2000. I was born in 1950, and my father was born in 1900, so there’s something that runs in the family here about a nice big round numbers. What kind of reactions have you gotten so far? Genuinely good. I obviously get people saying specifics about things that I’ve put in the book. But people love the positive energy. They love the sense of doability. I don’t care how many of the individual forecasts they quibble with. What is crucial is a sense of overall viability and people going with the positive energy that creates. Have people been grabbing onto some of the ideas and saying, “I want to run with this”? Quite a lot of the ideas in the book have already started to happen. With artificial meat, for instance, there has been incredible progress over the last year. There are now 35 different cities doing advance work on vertical greenhouses. People are now starting to talk about breakthroughs on artificial photosynthesis. And the speed of change on solar technologies is just breathtaking to me. That is one area to me where I feel that it is almost impossible to be too optimistic. Are there certain pathways in the book where the door is still open but is going to slam shut soon if we don’t get moving? The door has already shut on achieving a low carbon economy without geoengineering, in my opinion. Whichever way you cut the math in terms of the concentration of greenhouse gases, I couldn’t find a pathway to a low carbon economy in the second half of this century that doesn’t involve geoengineering. But I don’t think many doors have shut completely. If you’ve still got a reversible situation, then you’ve got a cause to be hopeful. Science is pretty extraordinary these days in terms of what can or can’t happen. How did you decide which institutions to keep and which to throw away — the United Nations, individual governments, things like that? I should have been much bolder about that, to be honest. I don’t think I really did enough justice to the speed with which governments can be toppled and change happen politically. But there was only so much perturbation in the system that I thought people could really cope with. What would you like people to do after reading The World We Made? I think that the most important thing we can do now is not to give into temptation to spend all of our engaged minutes learning everything that’s going wrong and focusing on the slow sliding away into the apocalypse. Psychologically, we spend too much time on that. We devote a huge amount of our political and psychological energy to trying to stop more bad things from happening. We’ve got to use our available advocacy time and capacity to persuade people that good and exciting things are there and are available. What I’d like is for people to say, “Yeah, OK, I’ve got it. Let’s grab a little bit of that and make that happen in our community, whether it’s a community farm, or renewable energy, or we’re going to think about this differently.” Whatever it’s going to be, do the solutions as well as keep your mind alert to the problems.